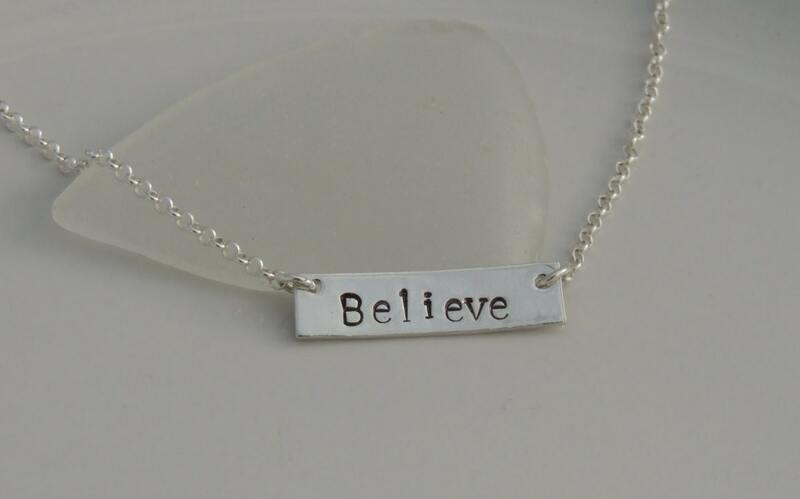 This beautiful bar necklace is made of solid sterling silver. 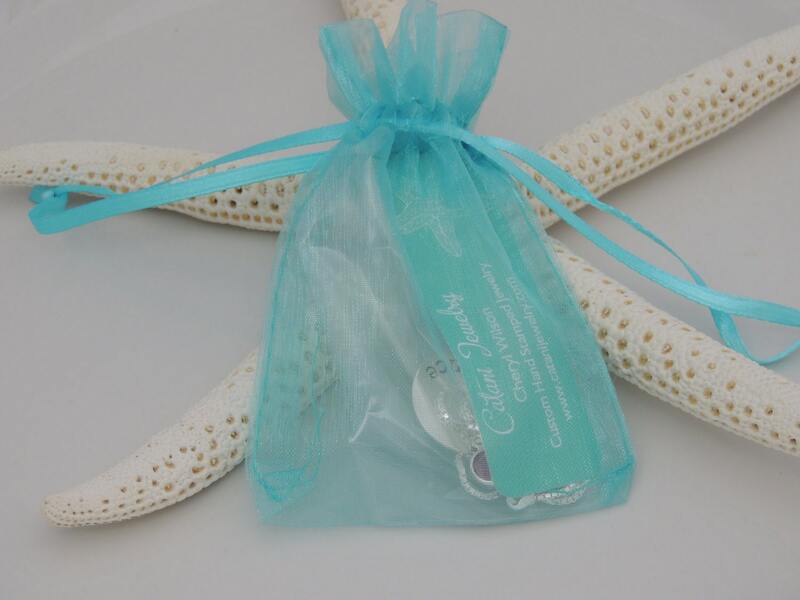 The bar is measures 1/4" x 1". 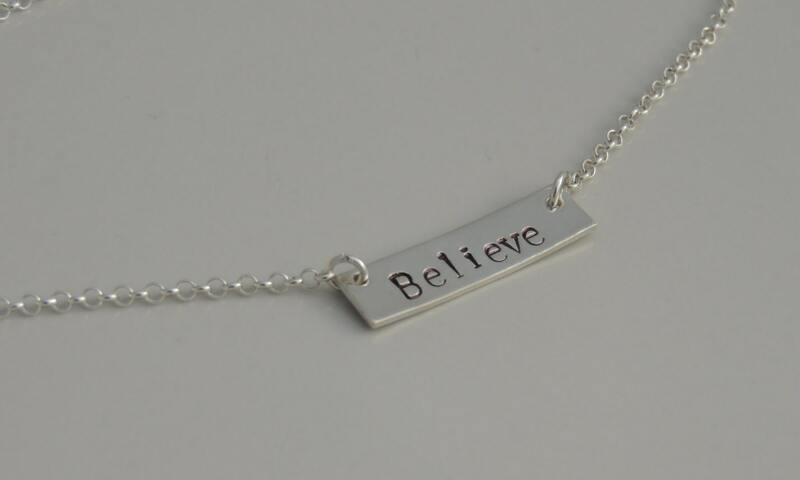 It is hand stamped with "Believe", "Inspire" or your choice of text (up to 10 characters). 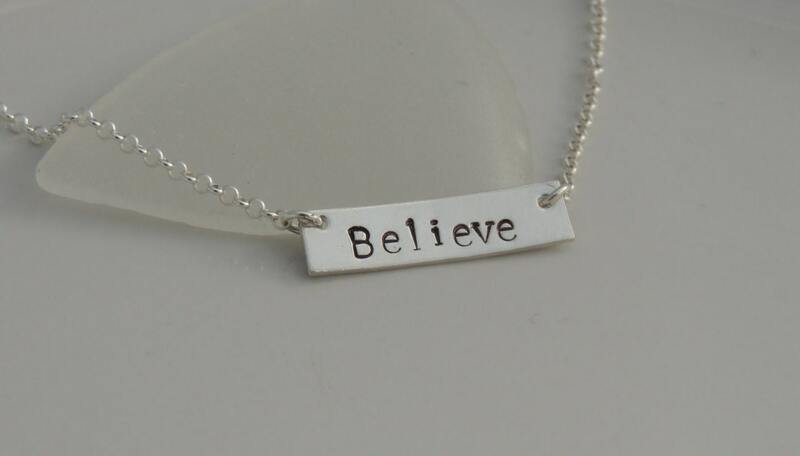 If choosing a custom text, please leave me a comment in the "notes to seller" section at checkout with text you would like hand stamped. Thank you.